80k miles in one year is my record thus far, and one brand of luggage has taken me across more security check points and airbnb’s than anything else on 4 wheels. A wise man once said, you won’t get far without good shoes or good luggage and that addage has followed with me since my first pair of ferragamo loafers. I recall an evening flight to Boston for work many moons ago with my samsonite carry on. By no means any slouch when it comes to carry ons but it was quickly checked in once the cabin space filled beyond capacity. I arrived to the baggage claim terminal only to find the zipper had given way and imploded my belongings like a lactose intolerant 4th grader at an ice cream party. Garbage bags from Boston’s finest janitorial service allowed me to regain some dignity as I left my late luggage behind. After a temporary stint with Tumi, I found myself looking more seriously at the aluminum topas line. It was a love affair. A $900 love interest to be more specific. 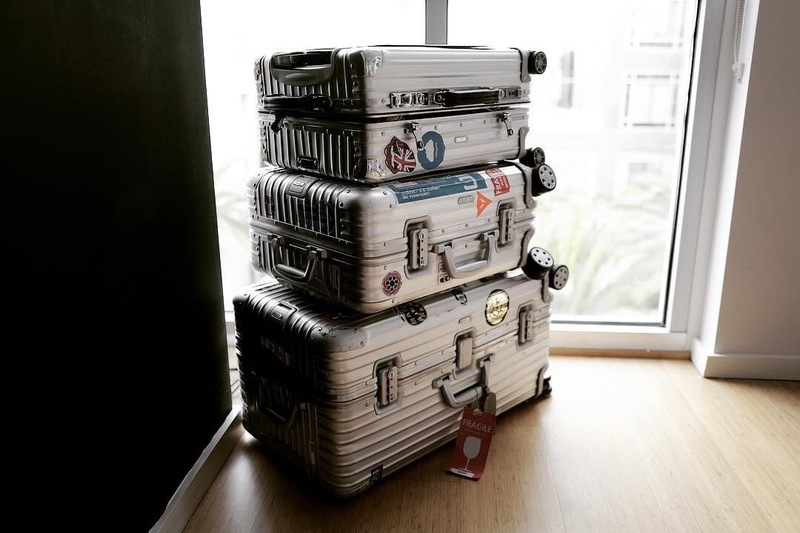 Traveling across asia in my previous years I would always come across the jetsetters that glided with their aluminum vaults complete with stickers from different destinations they’ve travled to. These stickers as cool and artistic as they looked also meant to me trophies of places conquered. I wanted in. Bad. 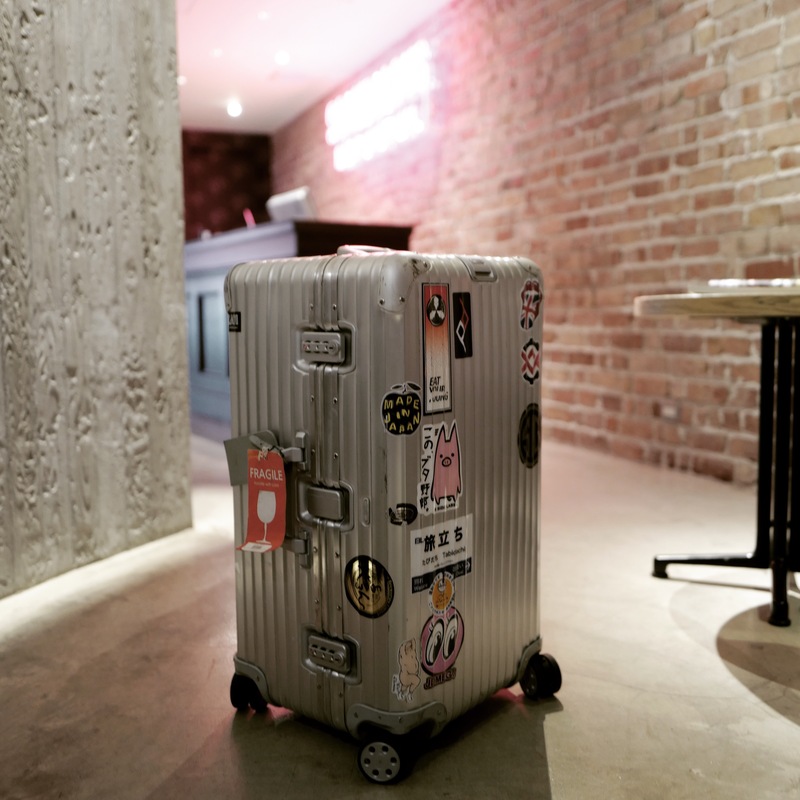 Luckily, my girlfriend at Jetsetter Global gifted me my first rimowa luggage (thanks babe). A widebody carry on that is still my go-to luggage till this day. The first flight I took with it was a trip to Austin. C15 was my position and I was dreading having to have to check my baggage again and possibly inherit my first dent. Yes. You heard right. A $900 luggage dents rather easily. And although the first dent was the most painful, it began a story. Each dent, scuff, sticker was a badge of honor. It marked a point in time, often somewhere far from home and marked a moment in my travels. I added to this collection with a topas sports trunk that allows me to squeeze in the essentials when I leave for extended periods of time. This plus the carry on allows me enough room for 3 months of travel. 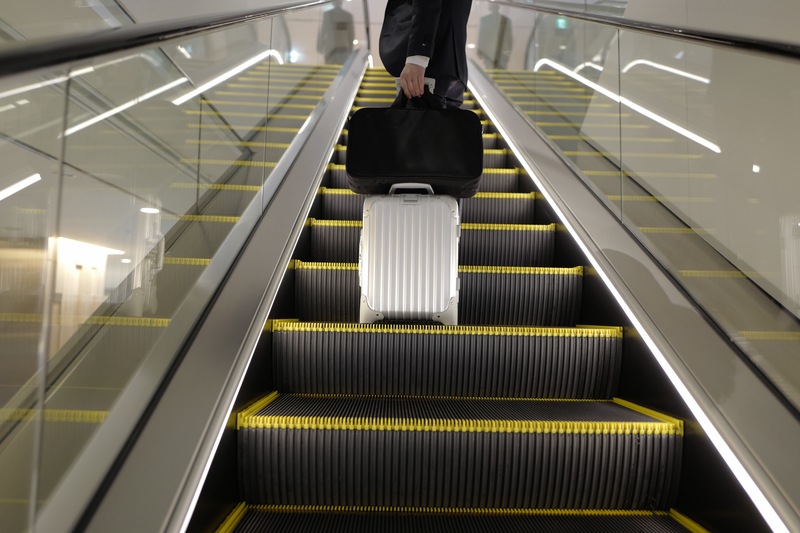 Quite extreme for post but if you ever faced a luggage that would not roll correctly or potential imposion, you would agree it was an investment worth making. 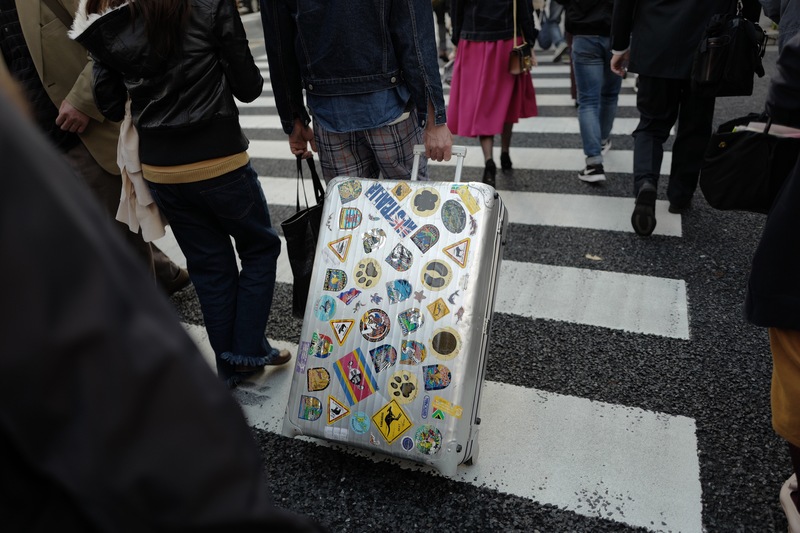 Traveling is stressful enough; the last thing one should have to worry about should be the container of clothes one is hauling while exploring the world.